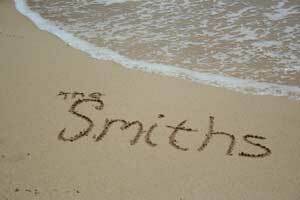 Write your name in the Sand! 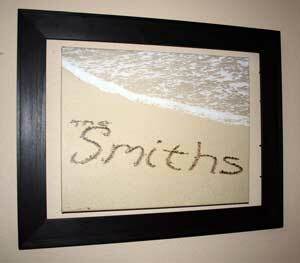 This is a fun and easy decorating project that will give your beach house a warm personal touch. 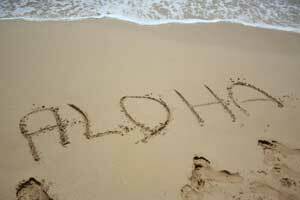 Go out to your local beach, or the beach you are vacationing at, and simply write your name in the sand with a stick! Designer Tip - We took some without the water creeping in, but we thought the waves added a great touch. Maybe even wait until a crab crawls by, and get him in the picture! This is a great memento from when you went on vacation! I suggest using a some what long stick so you don't get any foot prints on your artful sand canvas like we did here. Designer Tip - Feel free to write anything you like, don't just stop at your name, hey draw a picture! Have some fun, be creative! Instructions - Stand a few feet back, and take a few pictures from different angles to make sure you cover all your bases. Hey it's all digital now, so there is no extra cost to snap off lots of photos, one of them will be good. We printed ours on canvas, and there are lots of companies that do this now. Even Costco can print on canvas for you now, so feel free to shop around and get a good price on your digital printing. They can do almost any size, and frame it too if you want.